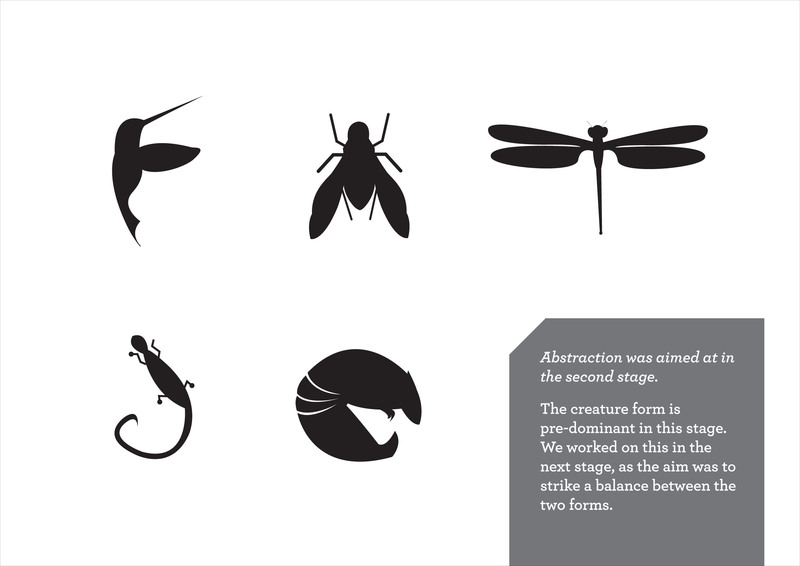 The keywords for this exercise were ‘creepy- crawlies’, ‘typography’ and ‘abstraction’. 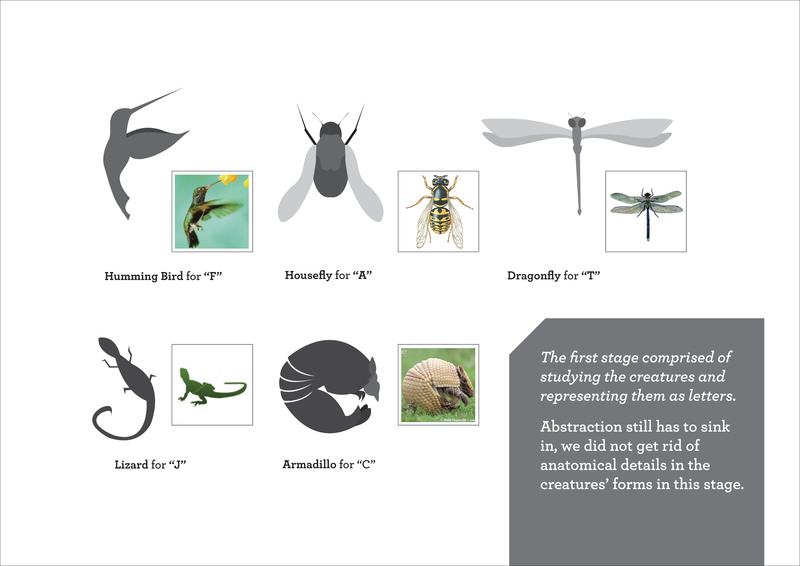 We wanted to derive initial letters out of insect and animal forms. 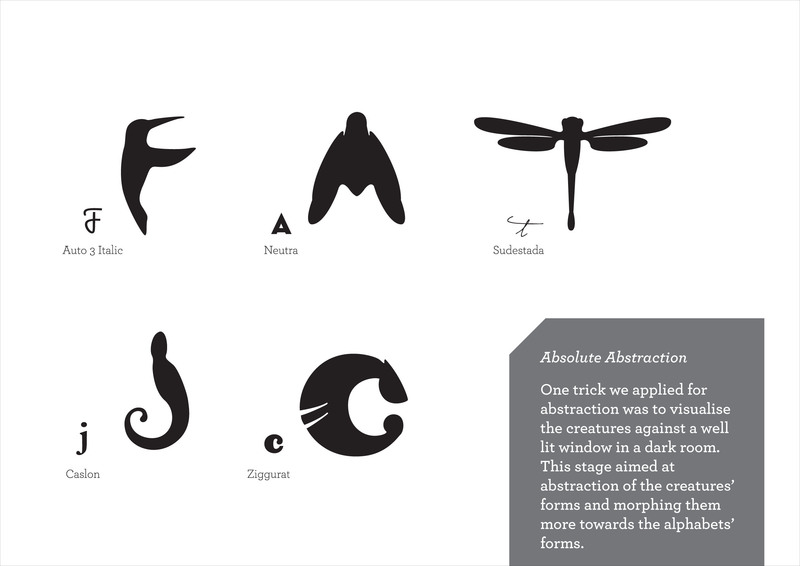 The idea was to study the creatures’ forms, analyse them, visualize them as alphabets (abstraction) and then represent them keeping in mind the anatomy of the selected alphabet. The final vision was to achieve a typographical form that does justice to both the creature and the selected alphabet’s anatomies. – Manuja Singh Waldia.